Insta360 updated their popular Insta360 One X (reviewed here) to add HDR video capability, greatly extending the One X’s highlight range. The HDR video capability is not just a tweak to the software or the way the videos are processed, but rather appears to be a capability of the sensor used by the One X. 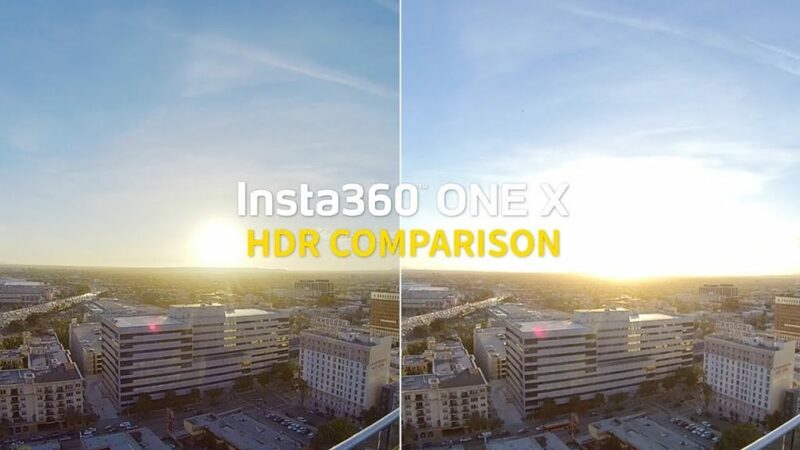 To see a comparison between the One X video with and without HDR Video, check out this sample and comparison. I’ll also show you how to add the HDR video capability, for both iOS and Android, and the shortcut for using it. Insta360 also updated the app to enable posting of 360 videos to Google Street View. Street View will then extract frame grabs from the video to convert it into a virtual tour with links. Hi Mic, did you test Google Street View video mode? since the One X even offers Video in HDR, do you think its still worth to buy the insta 360 Pro 1 ? (I dont need live streaming and more than 4K). Only the 3D feature I would miss.